Choral music is experiencing a renaissance in the UK thanks to high-profile news stories such as Eric Whitacre’s Virtual Choir and the Military Wives choir whose single ‘Wherever You Are’ took the coveted Christmas number 1 spot last year. Christmas is of course the time of year when choral music comes into its own, but it’s likely you’ll only come across a tiny, over-played number of the huge range of Christmas carols available. 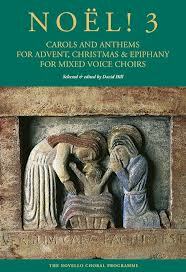 Renowned choral publisher Novello offers a wealth of material for Christmas singers across traditional and popular genres, so we caught up with Choral Editor Jonathan Wikeley to ask what else choirs tiring of ‘Away in a Manger’ could try their hand at. This entry was posted in Product spotlight on December 15, 2012 by Emma Cooper. 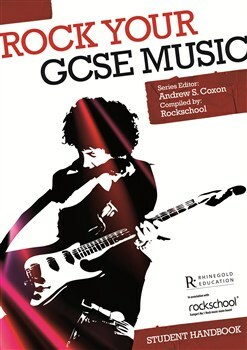 Rhinegold Education and Rockschool‘s Rock Your GCSE Music is a high quality set of books covering the musical features of eight songs from almost all angles. It is an extremely useful resource for preparing for GCSE or BTEC (Level 2 or Level 3) music exams. When I worked through the Coldplay ‘Clocks’ project with my students, I found it really livened up BTEC and GCSE classes. This entry was posted in Guest article, Product spotlight on November 30, 2012 by Matt Allen. Patrick Gazard is the author of Rhinegold’s new book, How to Create a Successful Music Ensemble. Here he shares his journey taking the High Wycombe Music Centre Stage Choir from a local Music Centre choral concert to the Music for Youth festival in Birmingham. Today’s Music Centre Choral Concert presented us with the ideal opportunity to run the set we have decided upon for the Music for Youth competition with the band, especially the strings (who sounded gorgeous!). The church acoustic made for a great sound. A few errors in performance, but none serious, and overall this was a good dry run for the Regional Festival. Although the choir sang well last weekend, a brief listen back to the recording highlighted a major issue – the voices weren’t blending well. The MFY mentors/judges will mark us down if they can hear so many individual voices, especially in the more lyrical songs. The problem is that our standard rehearsal room, a school classroom, has no acoustic to speak of, so I needed to find another room. I negotiated a one-off swap with another Music Centre choir for today’s rehearsal and spent it working on blend and voice colours. The aim was to make it sound as if four different choirs were doing four different songs, changing the colours for each number. The session, in what was a much more suitable room, was very successful, and I’m grateful to my colleague for agreeing the swap. This entry was posted in Guest article, Product spotlight on August 22, 2012 by Patrick Gazard.